Join the Ali Akbar College of Music in celebrating its late founder, the brilliant sarod (plucked string instrument) artist and composer, Maestro Ali Akbar Khan, in a full day of inspiring concerts including both a free afternoon portion and a ticketed evening performance. 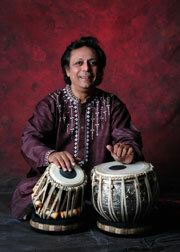 The evening concert features two celebrated leading Indian classical musicians. 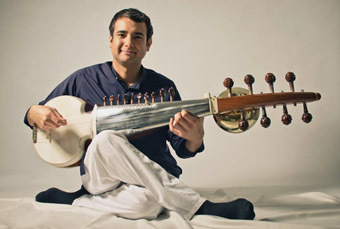 Sarod player Alam Khan offers his personal tribute to his father, accompanied by legendary tabla master Pandit Swapan Chaudhuri. 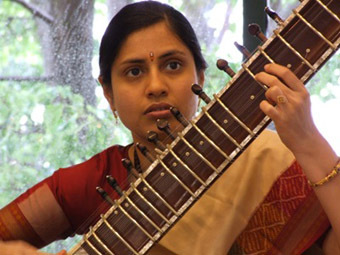 Aruna Narayan is one of the few women currently performing on the classical bowed, short-necked sarangi. 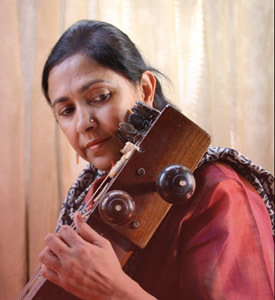 Aruna specializes in solo sarangi playing, which highlights the graceful nuances of this haunting instrument. Ali Akbar Khan, the first Indian musician to receive a MacArthur "genius" award, founded three classical Indian music schools, in Calcutta, India in 1956, the second in Berkeley in 1967 (which later relocated to San Rafael), and the third in Basel, Switzerland. Through his teaching, performing, and devotion to ancient classical music, he touched thousands people around the globe. Join us for a celebration of the birth of Khansahib, as he is affectionately known, featuring some of the most brilliant and accomplished musicians influenced by his life and work. The afternoon features two exciting ensembles of North Indian classical vocal and instrumental music. Students of Anuradha Sridhar’s Trinity Center for Music present Carnatic vocal pieces and the Ali Akbar College of Music Instrumental Ensemble performs original compositions by the Maestro. The afternoon concludes with a performance by Anupama Bhagwat, a newcomer to the Bay Area and a refreshingly versatile sitarist who represents the younger generation of performers.